Here is what we did on Monday. 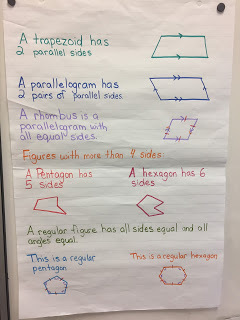 Math: Today we explored angles in quadrilaterals! 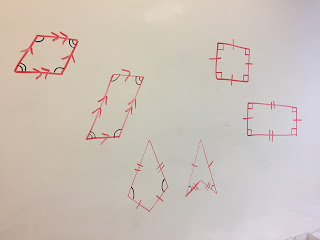 We talked about how squares and rectangles have 4 equal angles, parallelograms and rhombuses have opposite equal angles and lastly all kites have 2 equal angles. 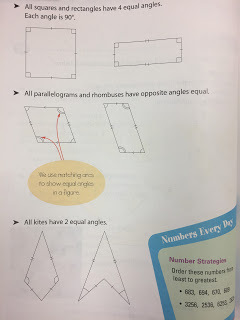 To show that angles are equal you draw matching arcs. 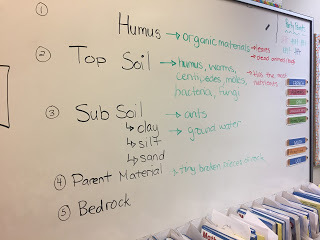 We did examples on the board and a few textbook questions for practice. Language: We started our new novel study. We are reading the famous novel, "The Secret Garden." The students are so excited to begin a new story adventure! They made so many connections to our last novel study book as well. UOI: We completed our soil experiment! We drew out the last stage of the experiment. 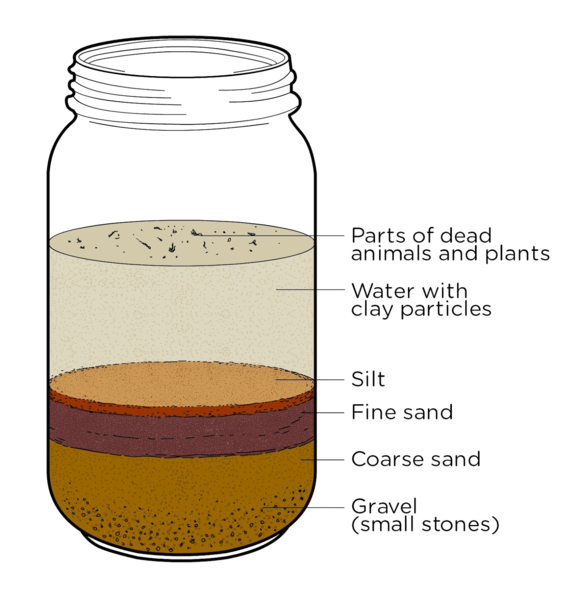 Today we also learned about the different layers of soil. We watched a video and discussed what is included in each layer.